A new high-speed railway will open on Sunday in eastern China to boost regional traffic in the booming Yangtze River Delta, according to China Railway Corporation (CRC). 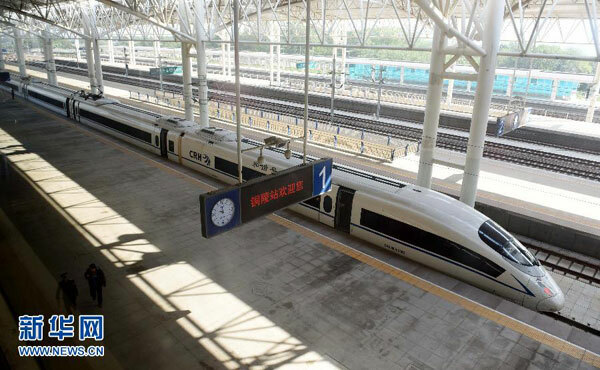 It will link Nanjing, capital of Jiangsu Province, and Anqing in Anhui Province, cutting the rail travel time from nearly six hours to about two. It will extend 257 kilometers with ten stations. The train will run at a speed of 200 kilometers per hour at the initial stage. The project broke ground in April 2009 and started trial operation in August this year. The new railway is expected to boost regional integration in the Yangtze River Delta and the economic development in Jiangsu and Anhui provinces, according to the CRC. Op-Ed: China’s victory over the first Southeast Asia high-speed rail project in Indonesia and what does it signifies to the Asia Pacific Region?